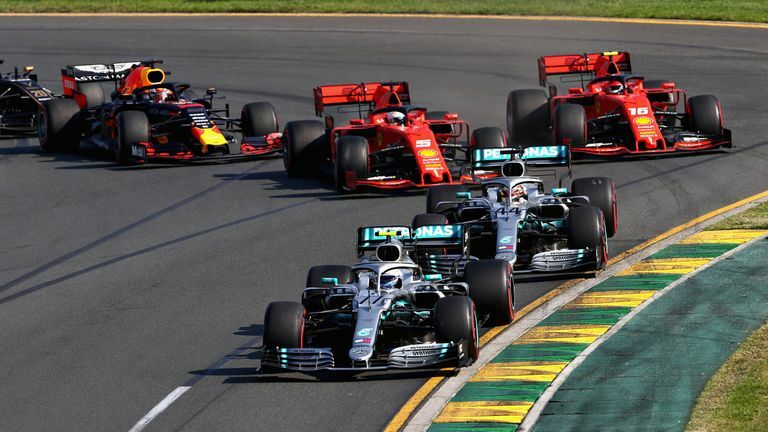 Valtteri Bottas crushed the competition to win the Australian GP as Lewis Hamilton and Ferrari struggled at the F1 2019 season-opener. Bottas, a distant fifth in the championship and without a victory last year, overtook Hamilton off the line and went on to win the race ahead of his pole-sitting team-mate by more than 20 seconds. The Finn also took the maximum 26 points available after setting the fastest lap. "It was definitely my best race ever," said Bottas. 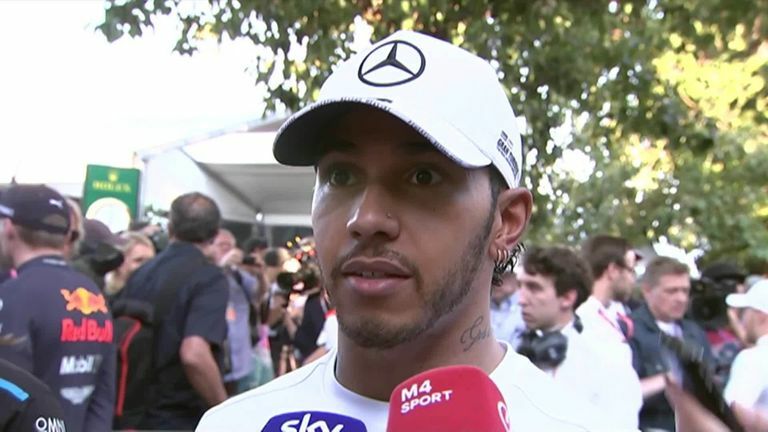 Hamilton never seemed comfortable in his Mercedes, which the team subsequently claimed was damaged, and only just held off a charging Max Verstappen in the Red Bull for second place. Verstappen's impressive display in Red Bull's first race with Honda engines included a sensational overtake on Sebastian Vettel, with Ferrari finishing almost a minute behind race-winner Bottas. Vettel challenged Hamilton at the start of the race but drastically fell back, and was fortunate to hold onto fourth place as Ferrari instructed Charles Leclerc not to attack. Watch as Valtteri Bottas overtakes Lewis Hamilton for first position at the start of the Australian GP. Where did it go wrong for Hamilton? Although second place and sealing a Mercedes one-two was decent consolation for Hamilton, it's certainly not what the world champion had in mind when lining up on pole position. The world champion's start was solid, but Bottas' was spectacular. And from there the Finn put his foot down, immediately opening up a one-second advantage. Hamilton didn't manage to match his team-mate's pace until Lap 11 and by that point Bottas was already three seconds ahead. That gap would normally see Bottas given preference on a pit-stop but Mercedes brought Hamilton in first, on Lap 16, as they responded to Ferrari's early stop with the chasing Vettel. But Hamilton's pace slowed on the medium tyre, while Bottas pumped in fastest lap after fastest lap as he stretched his first stint. Hamilton was losing a second a lap. "What's the reason we stopped so early?" asked Hamilton on Lap 22. Five laps later, a worried Brit said: "I don't think I'm going to make it to the end of the race on this tyre." The gap was 20 seconds when Bottas finally made his first stop, and soon after, Hamilton was under pressure from Red Bull's charging Verstappen, who had just passed the now-struggling Vettel. Hamilton got temporary respite on Lap 49 when Verstappen made an error and ran wide onto the grass, but the Dutchman closed to within DRS range again in the final few laps. Hamilton held on in the end, but a 20-second advantage is some marker from Bottas in the first race of the season. When Hamilton said he is braced for the toughest title battle of his career this season, he was talking about Ferrari. But on this evidence, Bottas is a credible championship candidate. Coming into the first race of the season, the paddock's verdict was clear: Ferrari were the favourites. But they finished the Melbourne opener almost a minute off the pace. "Ferrari have got to ask questions of themselves," said Sky F1's Paul di Resta. Both Vettel and Leclerc suffered. The German, who started third, was close to the Mercedes in the opening laps and was two seconds behind Hamilton after the first pit-stops, but from there his pace fell off a cliff. "I guess we were just slow," said Vettel, who didn't receive immediate answers from his team. 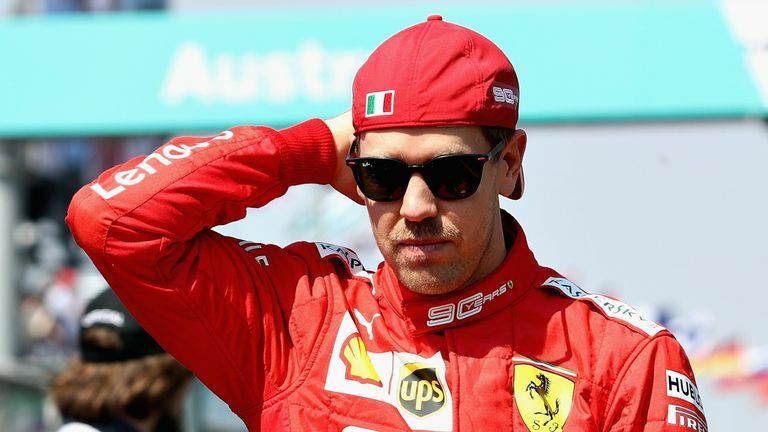 Ferrari's Sebastian Vettel was left bemused as the Australian GP podium slipped from view as he radioed to ask why there was a problem. Leclerc, meanwhile, on his Scuderia debut, made mistakes at the start of the race - almost colliding with his team-mate at Turn One and then running off-track when chasing Verstappen - but then closed in on fourth at the end, such was Vettel's decline. Leclerc: "Should I stay behind Sebastian? Yes or no?" Ferrari: "Yes and back off to have some margin." Red Bull swooped in to become Mercedes' closest challengers at Albert Park, thanks to a superb drive by Verstappen. Pierre Gasly may have finished outside the points due to a disappointing grid position and a tight street circuit, but Red Bull couldn't have asked for a much better start to their Honda partnership. 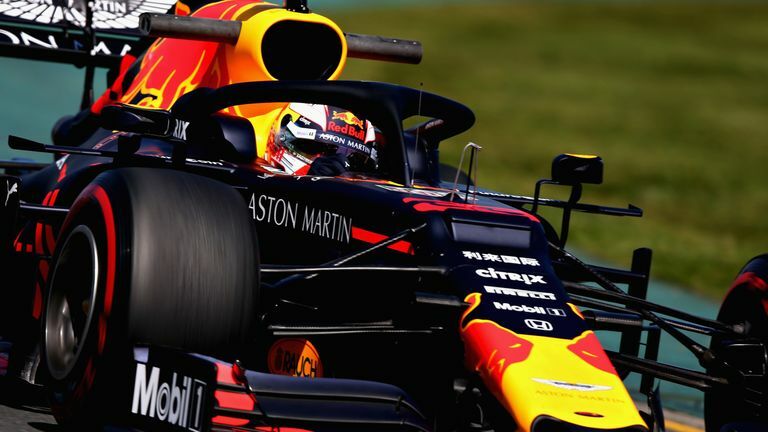 "I think we've overperformed in the race," team boss Christian Horner told Sky F1. 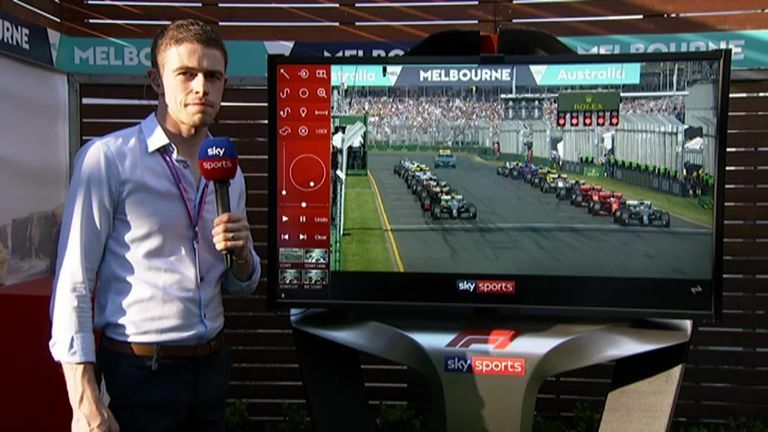 Paul di Resta is at the Skypad to review all the major talking points from the Australian GP and looks at how Valtteri Bottas secured win from Lewis Hamilton. Haas lived up to their pre-race expectations, with Kevin Magnussen an impressive sixth. But it wasn't a perfect day for the team - they suffered another Melbourne pit-stop nightmare and Romain Grosjean later retired from the race. Nico Hulkenberg was seventh for Renault, while Kimi Raikkonen, Lance Stroll and Daniil Kvyat - all either returning or making debuts for their respective teams - completed the top 10. 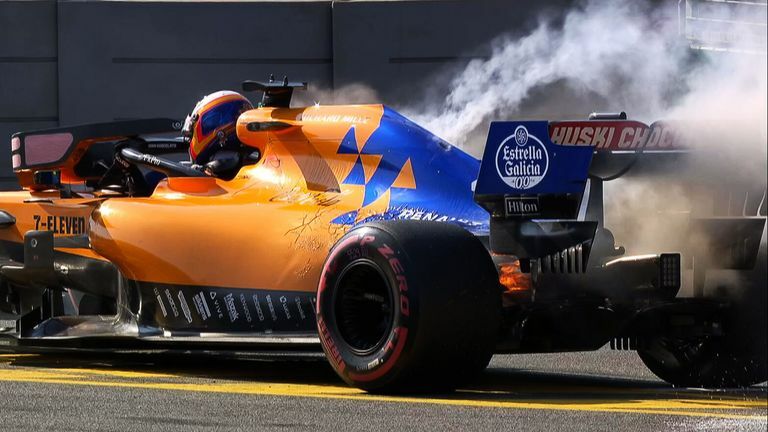 Lando Norris will have been disappointed to finish outside the points after such a strong qualifying, and it was a tough day for McLaren with Carlos Sainz the first DNF of the race due to a MGU-K engine failure. Daniel Ricciardo also had a debut to forget. The Australian, Renault's new star recruit from Red Bull, lost his front wing off the line after edging off the track, and failed to finish his home grand prix. Lap 38: Kvyat runs onto the gravel in his Toro Rosso when trying to overtake Lance Stroll. Red Bull try take advantage, bringing in the struggling Gasly in for his first stop but though the Frenchman initially gets past and into the points, Kvyat takes the place back. Lap 49: With just nine laps remaining Verstappen runs wide and loses two seconds to Hamilton, slipping three seconds behind. Lap 55: Verstappen sets fastest lap of the race, closing gap to Hamilton back down to 1,3s. Final lap: Bottas posts fastest lap and wins by 20s. "He couldn't have wished for a better race," says David Croft. F1's new rules: Has racing improved?